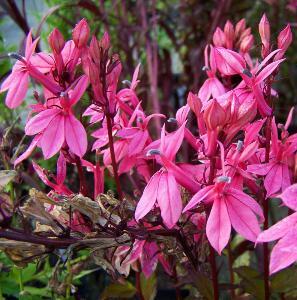 Lobelia speciosa 'Russian Princess' is a clump forming, perennial with upright habit. 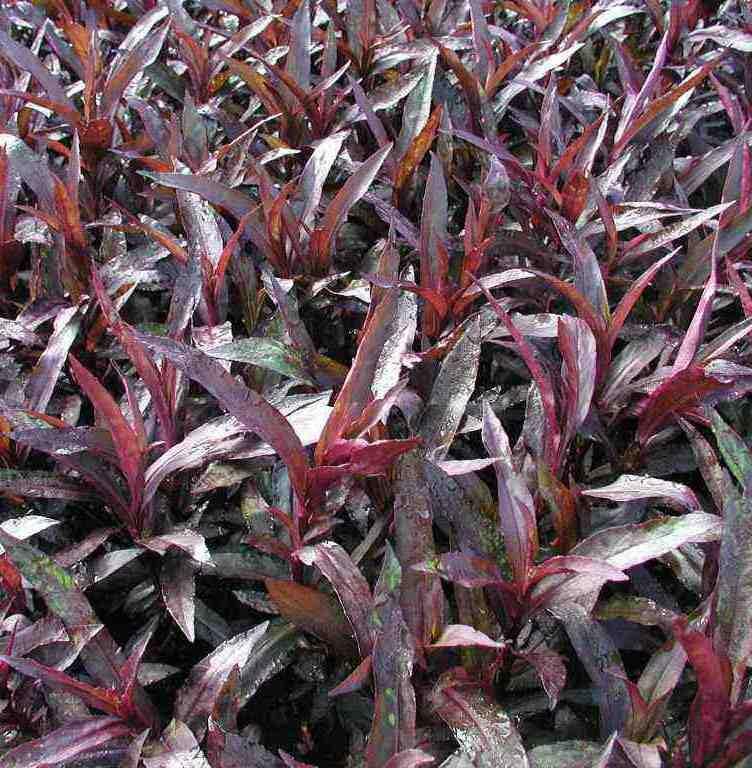 Red- tinged, purple lanced shaped leaves and long spikes of bright purple-pink flowers appearing August to October. 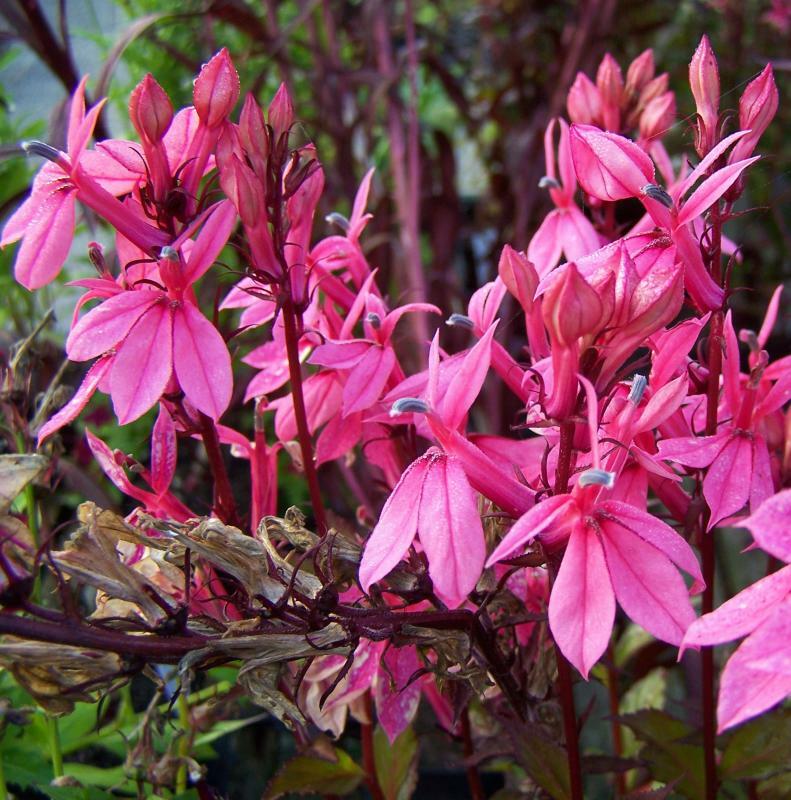 Prefers partial shade in a fertile and moist, well drained soil. Hardy height 0.80m, spread 0.4m. Supplied in a 9cm pot.